In the last decades, students increasingly have been placed in the role of active learners with responsibilities for their own learning. Students have to be able to plan their learning activities and execute them in a systematic and orderly way and to monitor and to evaluate their learning and to reflect on it. All aforementioned skills are components of metacognitive skillfulness. The first objective was to gain insight in the development of both quantity and quality of metacognitive skills in young adolescents (aged 12–15 years). The second objective was to establish whether development of metacognitive skills is intelligence related or relatively intelligence independent. Finally, the generality vs. domain specificity of developing metacognitive skills was investigated. In a 3-year longitudinal study, participants performed two different tasks (text studying and problem solving) in two different domains (history and math), while thinking aloud. Results show that between the age of 12 and 15 years, metacognitive skills do not develop linearly or at the same pace. Furthermore, metacognitive skills contribute to learning performance, partly independent of intellectual ability. Finally, the results show that metacognitive skills appear to be predominantly general by nature over the years. Although a smaller domain-specific component was found as well in the first 2 years, this component disintegrated in the third year. The age around 15 years appears to be a relevant point in time during the developmental trajectory of metacognitive skills: Growth is (temporarily) put on hold, while the nature of these skills becomes fully general. Development of metacognitive skills and teaching metacognitive skills. Van der Stel, M., & Veenman, M. V. J. (2008). 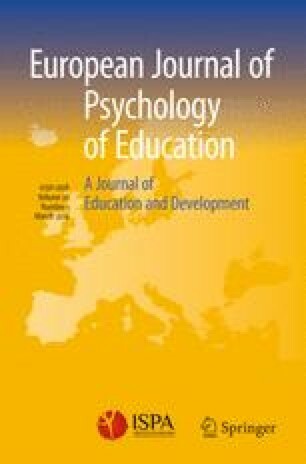 Relation between intellectual ability and metacognitive skillfulness as predictors of learning performance of young students performing tasks in different domains. Learning and Individual Differences, 18, 128–134. Van der Stel, M., & Veenman, M. V. J. (2010). Development of metacognitive skillfulness: A longitudinal study. Learning and Individual Differences, 20, 220–224. Van der Stel, M., Veenman, M. V. J., Deelen, K., & Haenen, J. (2010). Increasing role of metacognitive skills in math: A cross-sectional study from a developmental perspective. ZDM International Journal on Mathematics Education, 42, 219–229. Metacognitive skills and giftedness; metacognitive skills and test anxiety. Veenman, M. V. J., Van Hout-Wolters, B. H. A. M., & Afflerbach, P. (2006). Metacognition and learning: Conceptual and methodological considerations. Metacognition and Learning, 1, 3–14. Veenman, M. V. J. (2008). Giftedness: Predicting the speed of expertise acquisition by intellectual ability and metacognitive skillfulness of novices. In: M. F. Shaughnessy, M. V. J (ed.). Veenman, & C. Kleyn-Kennedy (Eds. ), Meta-cognition: A recent review of research, theory, and perspectives (pp. 207–220). Hauppauge: Nova Science Publishers. Veenman, M. V. J. (2011). Learning to self-monitor and self-regulate. In: R. Mayer, & P. Alexander (Eds. ), Handbook of research on learning and instruction (pp. 197–218). New York: Routledge.